Lennox Lewis: Mayweather Should Not Be 50-0, Fight is a Farce! The bout between five division world champion Floyd Mayweather and Mixed Martial Arts star Conor McGregor is not so much a superfight as a farce, said Britain’s former undisputed heavyweight world champion Lennox Lewis. Mayweather and McGregor go toe to toe this coming Saturday in Las Vegas — the unlikely but lucrative clash brought the undefeated former welterweight king out of retirement — but Lewis told the BBC he wouldn’t label it as a “serious fight”. 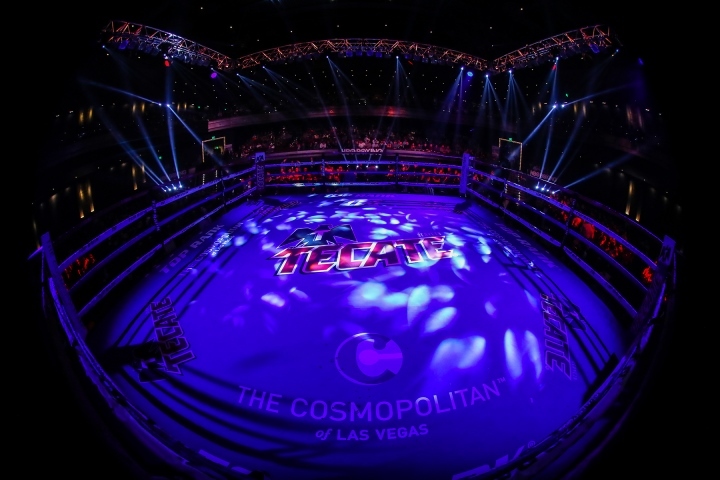 The boxers will battle at the T-Mobile Arena. Lewis reasoned that as Mayweather’s previous 49 opponents had failed to find a chink in his armour there was little reason to believe the charismatic 29-year-old MMA fighter would find him out. “There is tremendous build-up and hype but I don’t really take it as a serious fight,” said Lewis. Lewis, who won Olympic super-heavyweight gold for Canada in 1988 but returned to the country of his birth England when he turned professional, cast doubt on whether Mayweather should be allowed to raise his record if he defeats McGregor. Mayweather, who retired from the ring in 2015, is presently tied with another legend, Rocky Marciano, with a 49-0 tally. Lewis, who was world champion three times and is the last undisputed heavyweight champion from 1999-2001, conceded the fight would attract a large audience simply because there were so many imponderables. “I don’t think it is a fight that I am going to jump on a plane and go to see unless they pay me to commentate on it,” he said. [QUOTE=Damn Wicked;17978611]The fight is a farce but it's still a boxing match. McGregor will just be considered another bum on Mayweather's record. [/QUOTE] The 50th is a bum in a farce joke fight. [QUOTE=PunchyPotorff;17978566]Quote: At some point, you should've listened to your trainer and developed some defensive skills. Now you go 'TILT TILT TILT' anytime everything doesn't go your way. LOL!!! [/QUOTE] swiss cheese bubba friend, friend swiss baby bubba cheese? The fight is a farce but it's still a boxing match. McGregor will just be considered another bum on Mayweather's record.